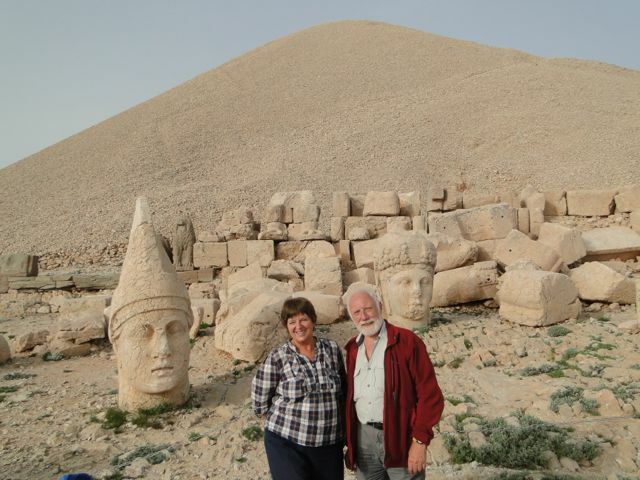 On the summit of Nemrut Dag in Eastern Turkey. We are Ian and Judit. Whether through work or holidaying we have been travelling most of our lives. Now we are retired and have bought a second-hand motorhome to allow us to travel where we want, when we want. The motorhome is a Bessacarr E760. It's just under 7.5 meters long, and we love it. This website will probably not contain artistic photos or great philosophical comments; it's intended primarily for family and friends to keep up to date with our travels. We will update pictures and other details when it seems appropriate. Recently we have modified the site so that when you click on an image you should see a larger version. in Central/Eastern Europe and Greece. Email us if you are interested in a detailed track. Want more detail...see Our Journeys interactive map.